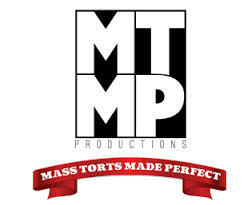 Mass Torts Made Perfect is a bi-annual conference held in the spring and fall of each year in Las Vegas. The conference is limited to individuals working in the area of plaintiff’s mass torts recovery, whether in the role of attorney, paralegal, investigator, marketing, financing, litigation support, or other function. The conference was founded in 2000 by the law firm of Levin Papantonio, and currently is led by the firm’s named partners Fred Levin, Mike Papantonio and Mark Proctor. The event was created with the idea of convening select attorneys involved in the practice of mass torts pharmaceutical litigation in an effort to share ideas and resources in combating multi-national corporate defendants. Today, the conference has grown to the largest plaintiff’s mass torts gathering in the world, with more than 700 participants (from 250 law firms) at each event, covering every form of mass torts topics, from prescription drugs, defective products, investment fraud, consumer fraud and business litigation. It has become the key gathering point for the promotion of mass torts litigation, with virtually every major law firm and lawyer in the field attending the event. P.S. Size Matters. The bigger and stronger the docket; the more power at the negotiating table. LitCap allows you the ability to expand and properly fund your docket, improving your position, and the position of your clients. Our mass tort notes are unsecured, nonrecourse, and docket specific. Let’s meet at the conference and discuss mass torts docket acquisition, marketing and case costs as well as our current funding areas: Bad Drugs, Defective Products, Disaster Torts, Medical Devices Liability, Toxic Exposure. P.S. S. Stop by the LitCap booth 069# to see what we are giving away!